Nearly once a day I see a sign that requires a little thought. This one is one of my favorites. The plate is attached to a manhole cover and, in my mind, is a little unnecessary. I’m not a very smart man but even I could tell that this was a tight fit for anyone who might remove the lid and enter this underground hole. It wasn’t too hard to see that this is a confined space. But thankfully, the sign helped me understand that I need to seek permission to enter. 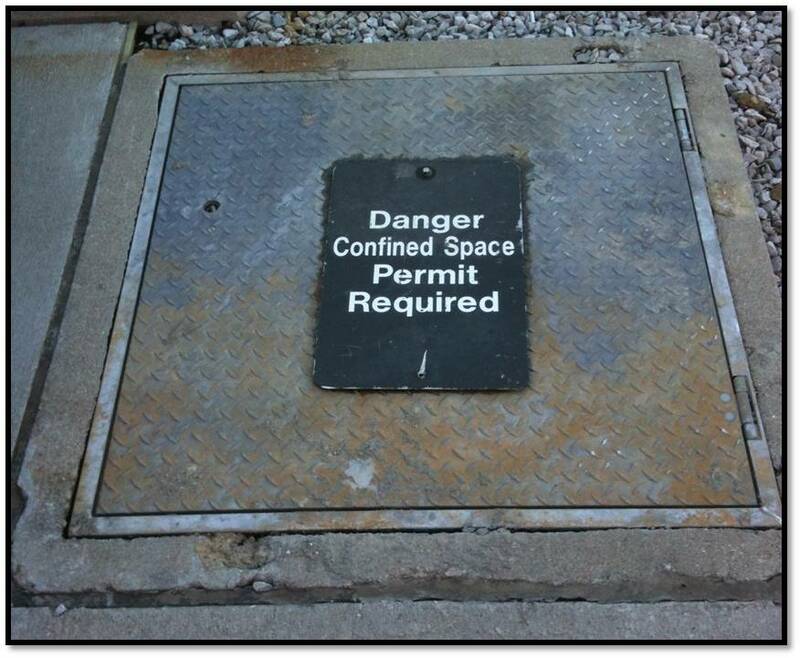 Or was the sign telling me that to have a permit is required to HAVE a confined space? So it isn’t so clear after all. Either way, I have yet to determine what government agency provides a permit allowing one have or enter confined spaces. I should take some time to determine where I can pick up one of these permits. I might want to enter a confined space one day and don’t want to be caught unprepared. Worse still, I might find that I HAVE a confined space and am no longer compliant with local regulations. I’m all about the rules. If you do not understand what this sign means then you absolutly should not enter. A permit required confined space means you must test the atmosphere prior to entering. You need to have the propper equipment and training to even write the permit, nevermind entering the space. Confined space does not necessarly mean “a small space” it means you have limited means of getting out if there was to be an atmospheric change. You never know what will be in these underground spaces.